None of the stadiums built for Euro 2012 cannot boast about such a diversified and rich repertoire for the stadium opening. 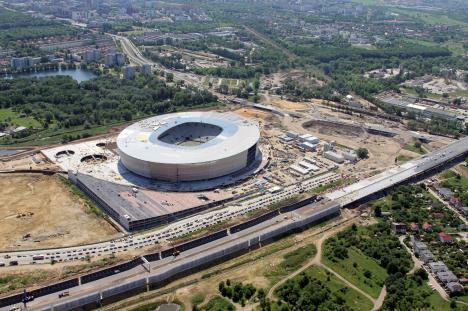 Despite its short history, the Wroclaw stadium has already been found in the center of attention around the world. 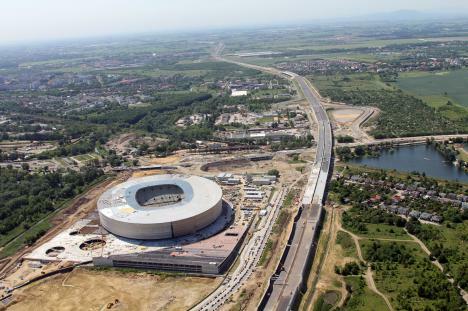 Construction of the modern stadium in the capital of Lower Silesia was finished in September 2010. 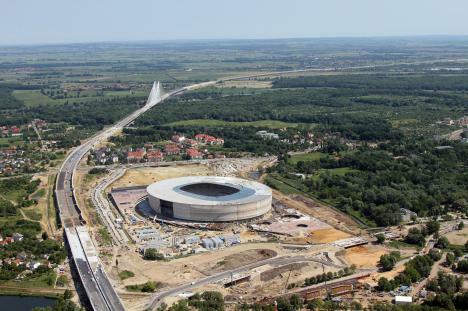 Initially, the contractor of the multi-functional stadium was the Mostostal company, but later on the company Wrocław 2012 gave it to the Boegl Max company. This decision was due to the growing threat of failure to meet the deadline of finishing the stadium. 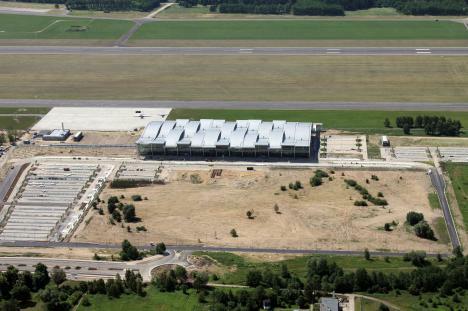 The German consortium has experience in implementing such projects. 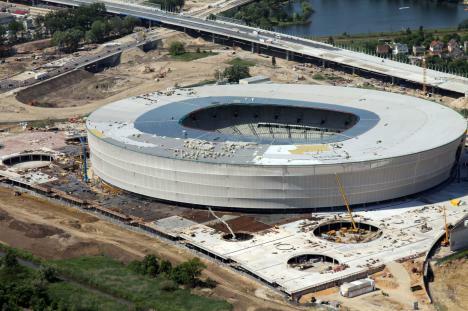 Our portfolio includes construction of Bay-Arena. SMG Poland company, which in January 2010 was selected as the operator of the stadium for its opening, organized three unique events that were undoubtedly a success. On September 10, 2011 the twenty-first century fight between Vitali Klitschko and Tomasz Adamek took place. Organization of the fight for the WBC world champion has been so far the biggest event in the history of Polish sport. The event broadcasted on live was watched by more than 44 thousand spectators and the event was shown in more than 130 countries. A week later, the legend of pop, George Michael come to Wroclaw, together with Wroclaw Philharmonic Orchestra. This was one of the greatest performances during this concert tour of the artist. The mesmerized and delighted audience applauded long the performance of the artist, and at the end a rain of confetti fell down on the audience. The third event opening the Wroclaw stadium was a spectacular show of Monster Jam. The truck competition was preceded by Pit Party, during which it was possible to watch closely the awe-inspiring trucks. There were also race cars, motorcycles and quads. At the end of the event there was a spectacular show of fireworks. At the stadium, Silesia Wroclaw will play its matches. The Wroclaw club has signed a 5-year contract with a city company for the use of the stadium. 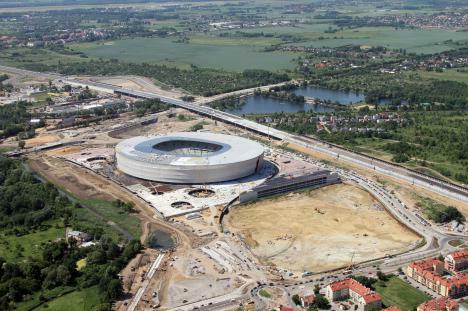 How to get to Municipal Stadium Wroclaw? A special tram line and a transportation hub are being constructed. As a result, it will be easier to get to the stadium by train and by tram. Russia – Czech Republic (June 8, hour: 20:45 Polish time). Greece – Czech Republic (June 12, hour: 18:00 Polish time). Czech Republic – Poland (June 18, hour: 20:45 Polish time). could you please let me know how far from the entrance of the Stadium in Wroclaw we will be able to come by car withou any special permission? We don´t need to park there, we just need to bring our guest as close to the entrance as possible. Could you please tell me how far we can get with our shuttle car? lots of roads will be blocked off and unless you are some sort of VIP with connections, arrival directly to the stadium will be difficult. There is a housing area close by and you could try your luck there. Go to e2012.eu/pl/lokalizacja/5057/ to see where it is located or try google maps. the newly opened A8 will not be closed as this is the main highway to connect Prague with Warsaw (in some future). Get off at the Stadion exit. or if you are using navigation try corner of Kosmonautow/Trojkatna. But trust the ropad signs! Your navigation will definatelly not have the new A8 connection. From there it is some 10 minute walk. Be early! I have been to many events in the past and we are the masters of not carrying what is happening 100m outside of the event’s area so I assume it will be a mess to park, drive or get any information (especially in English) outside of the main footbal areas. Try your luck in Czech or Slovakian (assuming this is where you are from). Polish have a hard time understanding Czech but with a smile we become fluent and may be easier to get by than by using English. 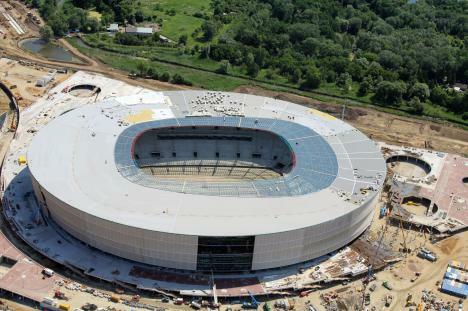 Dobrý den všem,může nám někdo poradit kde vyzvednout vstupenky na stadionu.Máme je zaplacené ale vyzvednout si je máme poblíž stadionu na výdejních místech-nám zdělila UEFA.Jak je poznáme?